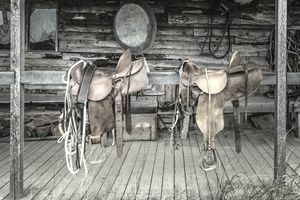 Tack shops provide quality saddles and supplies to horse owners, trainers, and breeders. If you are interested in starting a tack shop business, you should have a strong background in some area of the equine industry. Those with previous retail experience will find it to be particularly beneficial, especially if this work experience was gained in an equine or animal related store environment. The customers that visit your store will value your expert opinion regarding the tack and equipment that you sell, so it is important that you are familiar with the various disciplines of equestrian competition and the specific items utilized in these pursuits. It is best to work for an established store (even if it is only briefly) before venturing out on your own, as there is no substitute for hands-on experience. Before opening your tack shop, you must take into account the variety of business and legal considerations that tie into starting a new business. Schedule a consultation with your accountant regarding the advantages and disadvantages of forming your business as a sole proprietorship, Limited Liability Company (LLC), corporation, or another type of entity. You should also contact your state or local government to look into any requirements, such as permits or licenses, which could be necessary for your business to operate in its intended location. Securing an insurance policy should also be on the planning checklist. Most tack shops have a brick and mortar retail store location, as horse owners like to purchase their tack and supplies in person if a shop with competitive prices is nearby. Many riders prefer to sit in various saddles to find the one that is the most comfortable for their use before making an investment in this expensive piece of tack. A retail location carries with it the added expense of a lease unless you have your own property which would be suitable for construction of a new building or renovation of an existing structure. Some brick and mortar tack shops maintain a website to allow out of town customers to place orders. There are also tack shops that operate exclusively through websites and do not have physical retail locations. Mobile tack shops have been growing in popularity in recent years. A mobile tack shop is operated out of a large trailer which can be towed to horse shows and other equine events. Some tack shop operators use these mobile units to travel the show or race circuits to supply competitors who are on the road. Most shops carry a variety of tack items which can include saddles, bridles, blankets, saddle pads, halters, lead shanks, martingales, breastplates, and girths. Some shops also offer engraving services to customize brass nameplates used on halters, saddles, and belts. Tack shops also routinely carry equine supplies and equipment such as brushes, leg wraps, buckets, tools, riding apparel (such as boots or helmets), tack trunks, feed, liniments, supplements, and treats. They may also stock gift items such as key chains, model horses, stuffed animals, and other equine gifts. Some shops also choose to sell quality used tack or apparel on a consignment basis. Some shops allow customers to sign up for a weekly or monthly newsletter that will inform them of upcoming sales and specials. Another way to gain exposure is through sponsorships of horse shows, races, or other equine events. Sponsors are frequently granted the privilege of selling their merchandise on site, so this can be a great way to gain access to potential customers. Making donations to charity auctions can also draw positive attention to your business while helping a good cause. Tack shops may also advertise by sending out mailings, visiting equestrian centers, placing custom magnets on company vehicles, and creating hats or clothing featuring the business logo. Tack shops can also benefit from referral business directed their way by equine veterinarians, farriers, barn managers, and trainers. Positive word of mouth references from happy customers can also be a great advertisement for a tack shop.